Beat it. Play it. Think it. Make it. Doing things always with the drum. Here, “Drummers Top Team” is formed. Started with mixture and hard code, they have been expanding their field. There’s no fear in their minds to be always forging ahead with the drum. The two, well-experienced with fabulous background of providing memorable and great performances, have countlessly supported and backed up drummers. Simply, they do not feel like living without the drum. 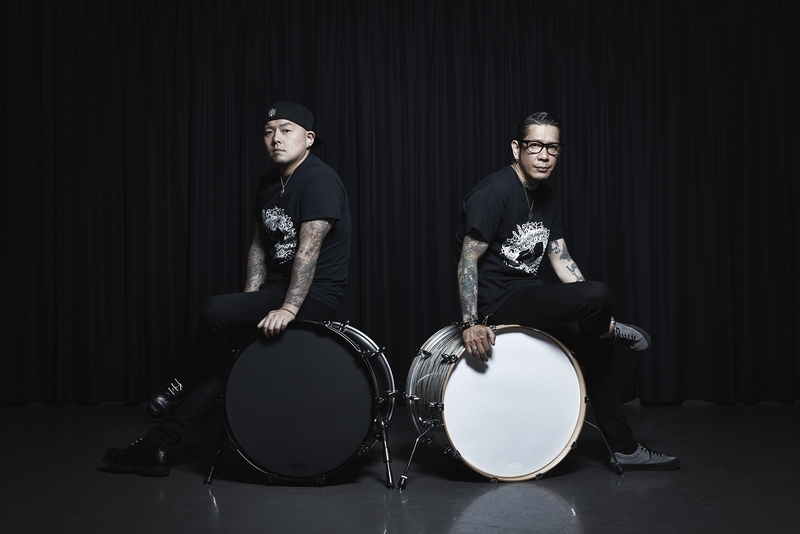 Now, they are newly intending to shake up the concept of “drum playing world” and leading forward to open up a possibility for “playing the drum” with their new project team. They have their own perspective of drums gained through their long-term and front-line experiences in playing the drum. These drum experts realize new ideas with their profound tastes in drums and fresh approaches. Living up to the centrality of playing active roles in the drummers, they devote themselves to making ways to younger players. Also, they help tune drums, design relevant products and produce gadgets for providing new expressions in renditions. In large, there is no limit on the range of their work but limitless joy of being creative drummers. Their creative activity of opening up the “drum future” will never let your eyes away.